Dahlia Collection The series Happy Days Dahlia was introduced in 2011. 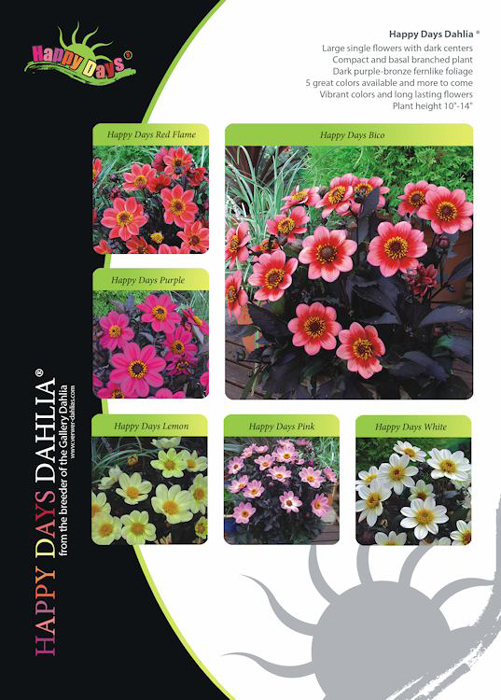 The varieties of this collection have a height of ± 25-30 cm. The flowers are classified as 'single flowered' which means that they have one row of outstanding petals round the open centre that is colored brown or purple most of the times. 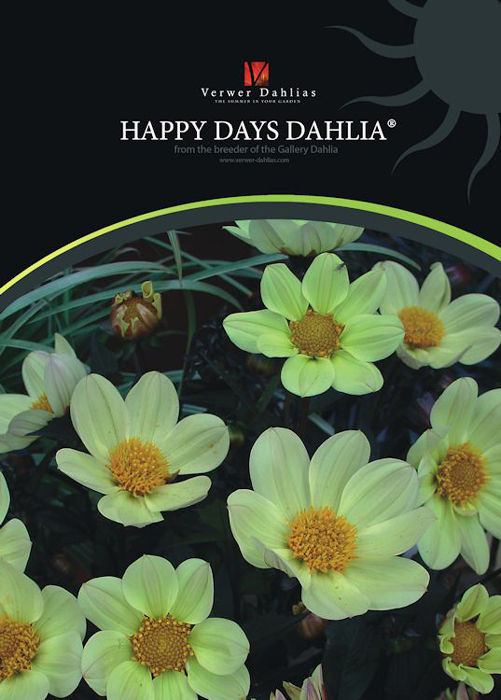 De Happy Days Dahlias are very well suited for culture as a potted plant. 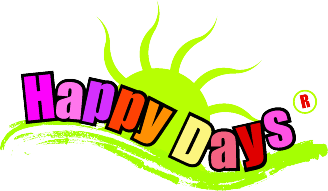 They are available in many garden centres in spring and early summer. You can grow them in open field, in border, in a landscaping project but also in larger containers and windowboxes. The will bring flowers in sparkling colours all summer and autumn! And, they are beloved by butterflies and bees! They will be faithful visitors of these flowers.